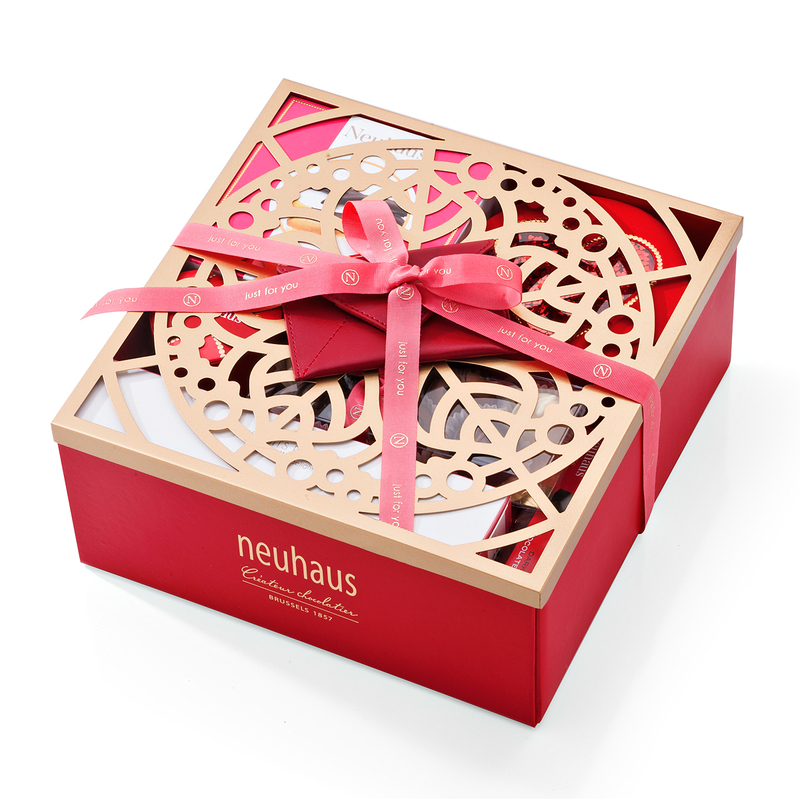 Pamper anyone who deserves it with a decadent selection of our finest Neuhaus Belgian chocolates presented in an exquisite filigree gift box. The luxurious collection includes limited-edition heart shaped chocolates, Belgian chocolate, pralines, Manons, and much more. 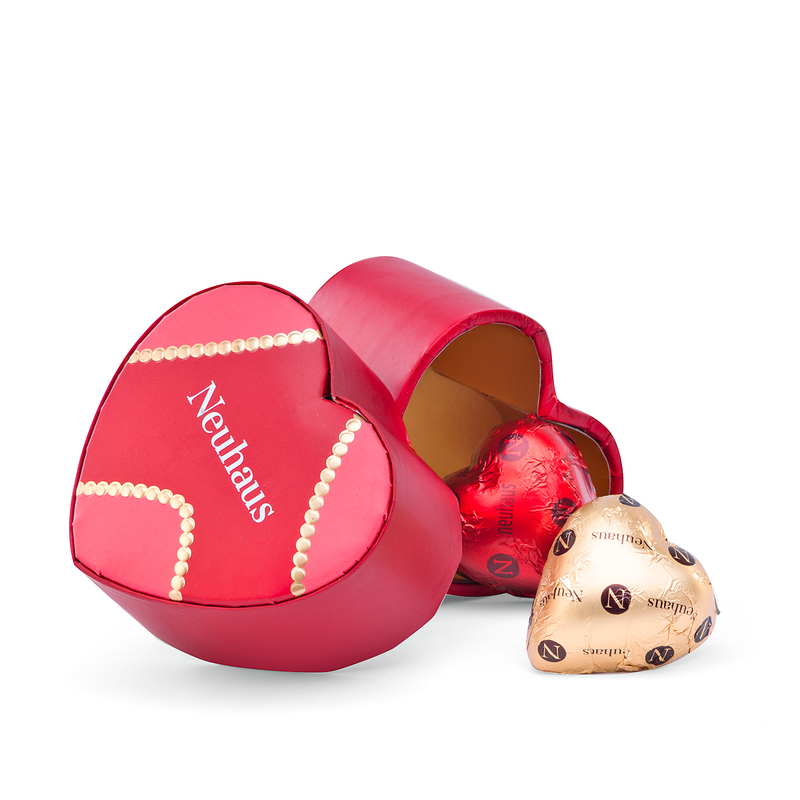 The Neuhaus Maître Chocolatier has created delicious heart chocolates and assorted milk, dark, and white chocolate pralines that are presented in a romantic round gift box with a red glitter heart design. 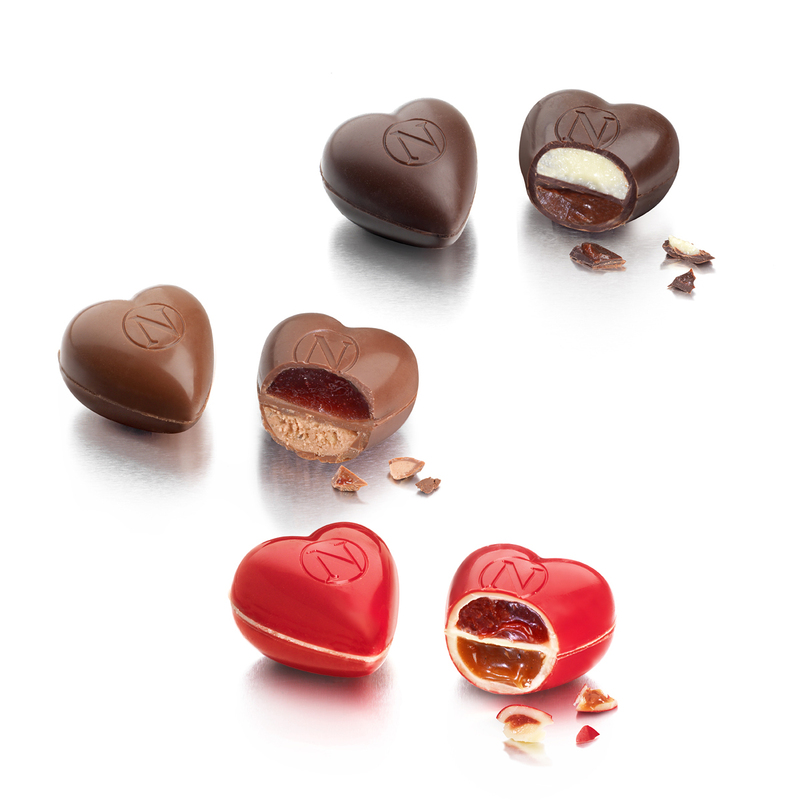 Two more delicious pralines await in a classic red heart gift box. 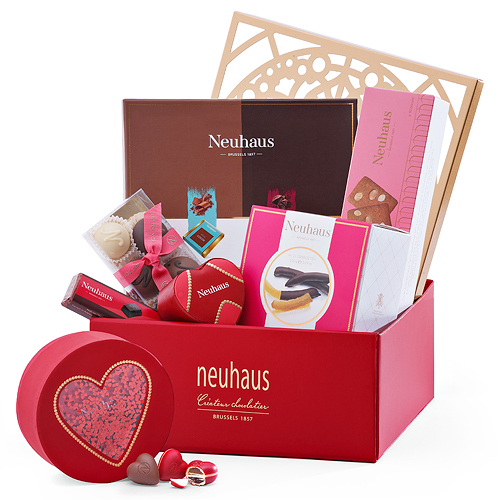 The delights continue with a 7 piece assortment of the treasured Neuhaus Manon chocolates in milk, dark, and white with delicious fresh fillings. 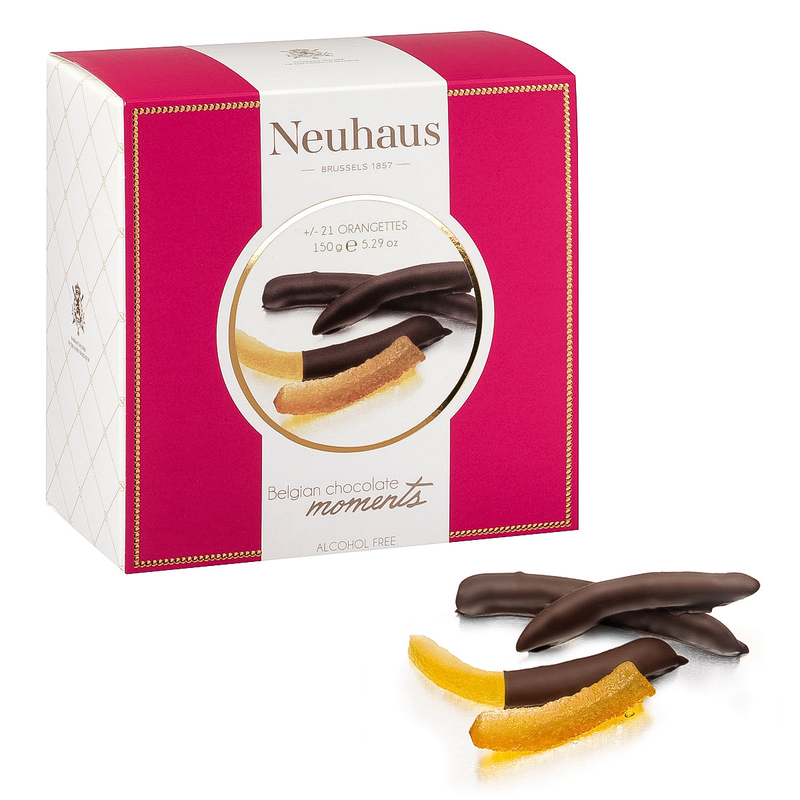 Traditional Orangettes - candied orange peels dipped in rich dark chocolate - are sure to please. 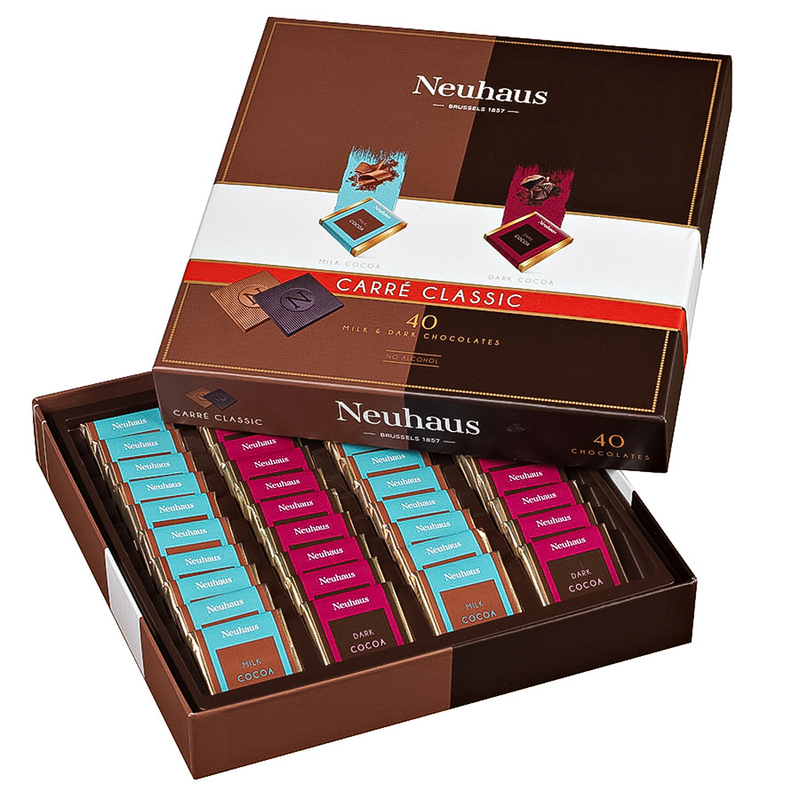 The gift also contains classic milk and dark chocolate Carre squares, which are a favorite treat to enjoy any time. 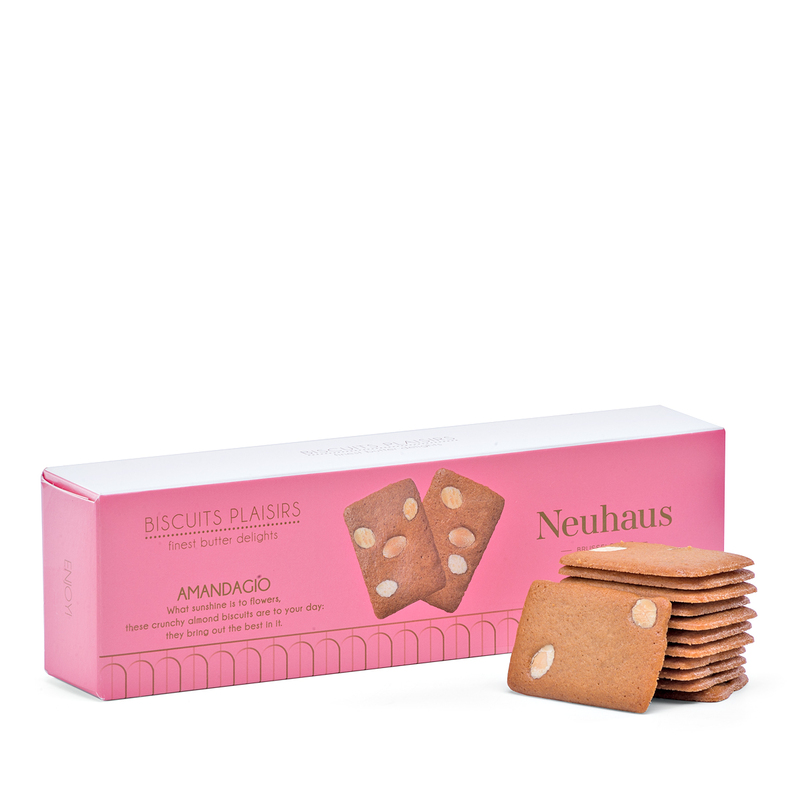 Classic Amandagio almond biscuits and an intense dark chocolate bar complete the sweet delights in this impressive gift box. 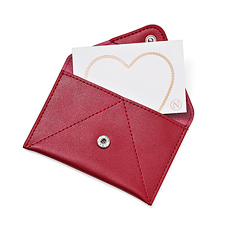 The gift includes a luxury red leather gift card holder with a lovely greeting card for enclosing your own sweet wishes with the chocolate. 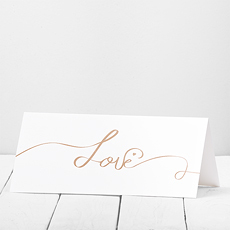 This is a gift that will truly be cherished!